The Child Center is a non-profit human services agency that has been offering a continuum of psychiatric, therapeutic, and special education programs throughout Lane County since 1971 and in Central Oregon since 2011. 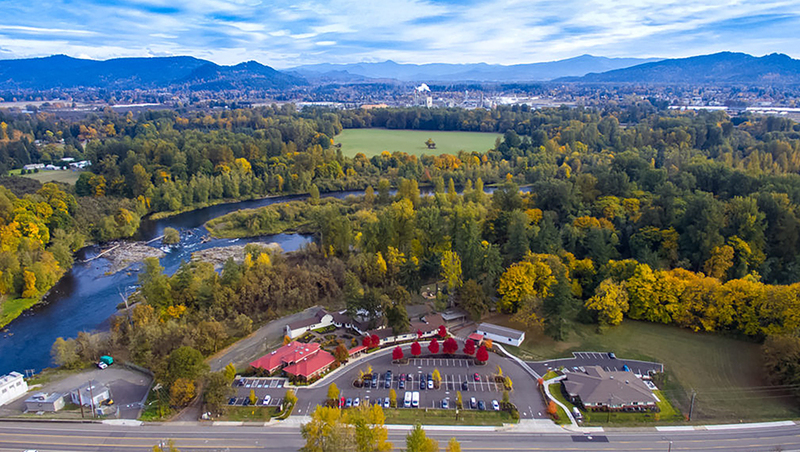 The Child Center’s Main Campus is located at 3995 Marcola Road in Springfield, Oregon. Mental health services are now also offered in Central Oregon. The Child Center’s outpatient counseling for children and adults is available at our Bend, OR office at 63034 OB Riley Road, phone (541)728-0062 or (541)510-4578. Services for children with emotional and mental health challenges include Mental Health Assessments, Outpatient Counseling, Intensive Treatment Services (Day Treatment), Intensive Community Treatment Services (Outpatient ad School Based Day Treatment), Community Library of mental health resources, around the clock Crisis Intervention and Collaborative Problem Solving Parenting classes. We are currently developing our new Wellness Center for our Lane County and Central Oregon programs. The Child Center is a family based agency. Family involvement, as equal partners, is the very foundation of all treatment services we provide. Our experience of serving children since 1971 has shown us that treatment is more effective when the entire family is involved in learning more about the problems they are facing and are a part of finding solutions based on the strengths of their family. Families in all of our programs participate in family therapy. Parent training/education groups are also available. Parents are involved in determining what treatment goals are priorities for them in family therapy and in their child’s treatment. The Child Center’s primary orientation is based on the Family System’s Model. We have successfully incorporated Collaborative Problem Solving model, Solution Focused Brief Therapy, Structural, Strategic, Contextual, Rational Emotive, Cognitive Behavioral Therapy, and Psychodynamic and Behavioral child and parent interventions in a Brief therapy model. Our Vision is that children will have a future that is bright and full of hope. Our Purpose is to create a lifetime of understanding and hope with children and families. Regardless of the service, our experience has proven that long-term results are always better when the child’s family is an integral team member. At The Child Center parents are involved in all phases of treatment services including assessment, the development of plans of care, the integration of education and treatment services as well as transition plans/services. The Child Center offers programs in Oregon in both Lane County and in Central Oregon.